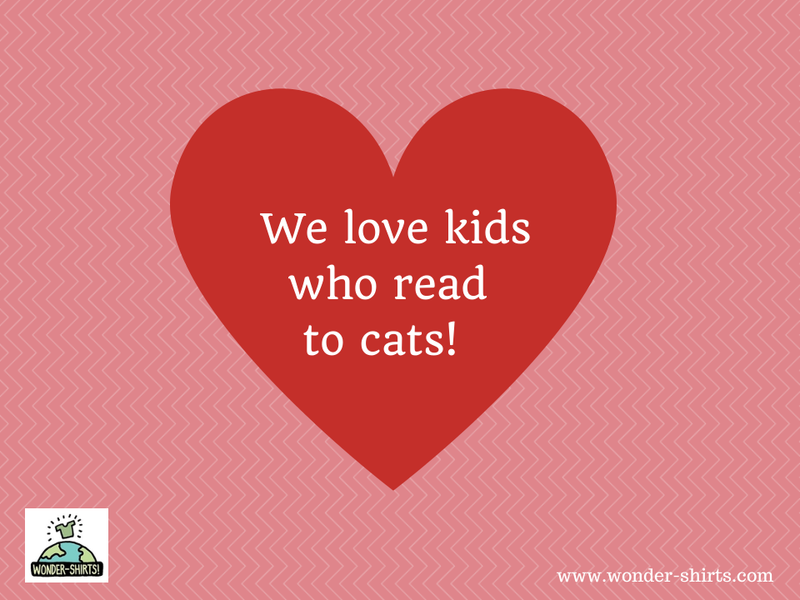 Valentines, Giving Books, and Reading to Cats! So Much Love! 1) Give a book to a friend or relative. 2) Leave a book in a waiting room or lobby. Isn’t that the coolest concept? We love it. For us it is totally in harmony with Valentine’s Day. 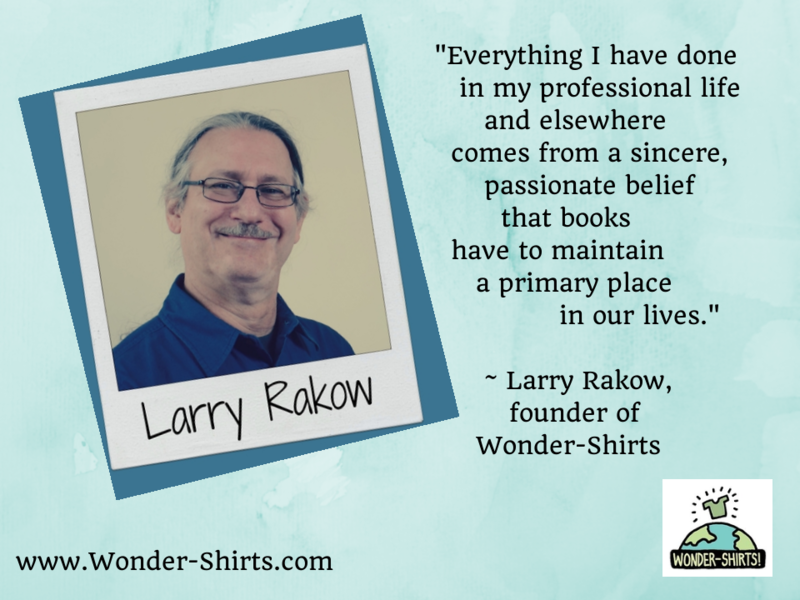 We are overflowing with a love of reading, and there is no better way to express love than to give books (or t-shirts and totes about reading books). 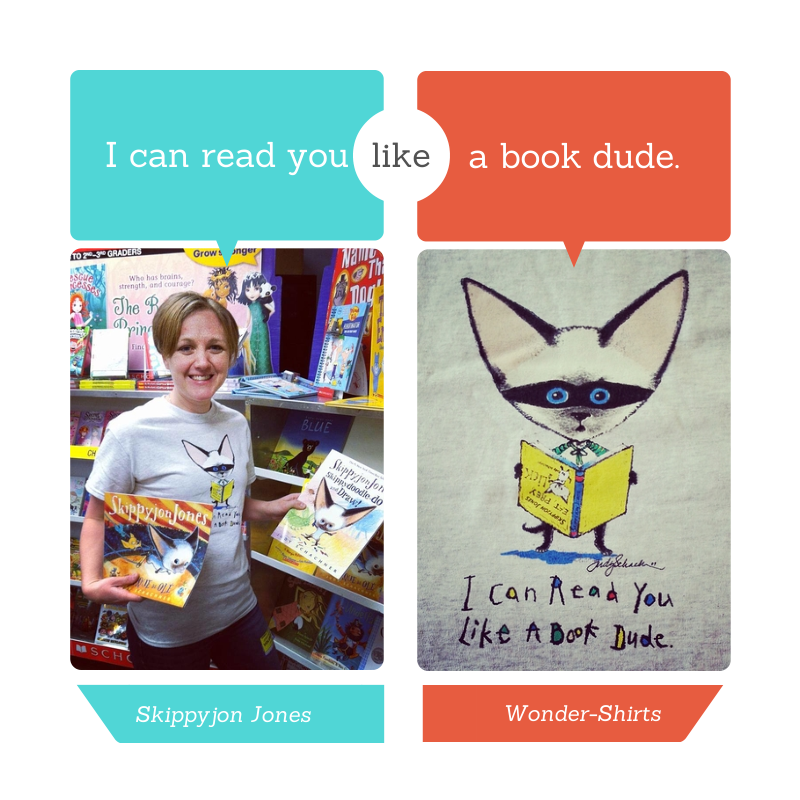 At Wonder-Shirts, we don’t make books, but we do make t-shirts about reading. 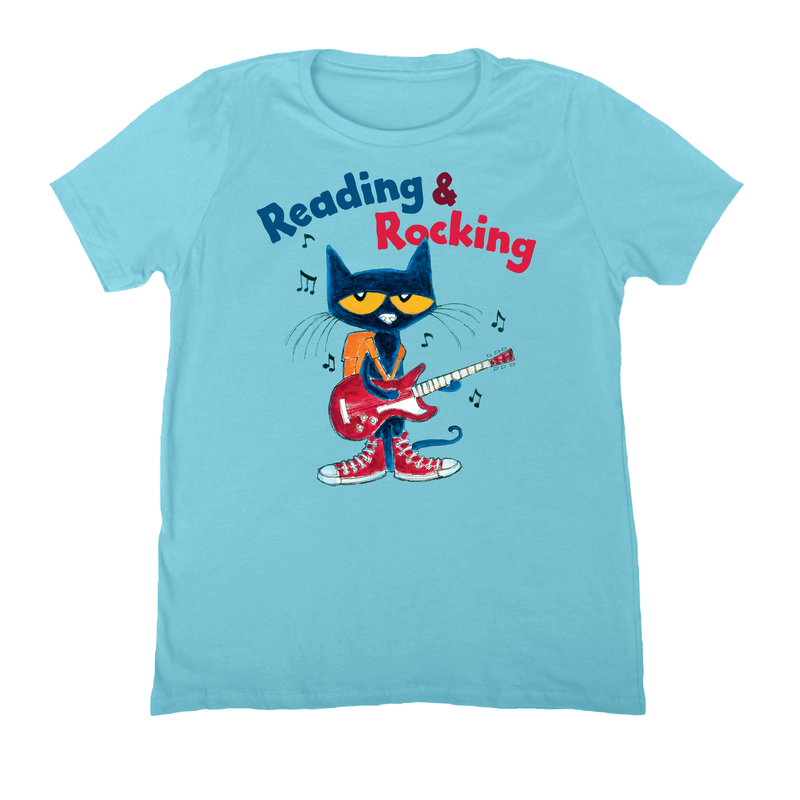 So for Valentine’s Day/International Book Giving Day we are giving some or our t-shirts to kids who are reading to cats. Did you see this story in the news recently? If you haven’t seen the story and you don’t have time to read the links, the synopsis is that the Animal Rescue League of Berks County has a program called “Book Buddies.” It encourages kids to read to the cats in the shelter. It gives the kids a chance to develop literacy skills, and to practice public service. 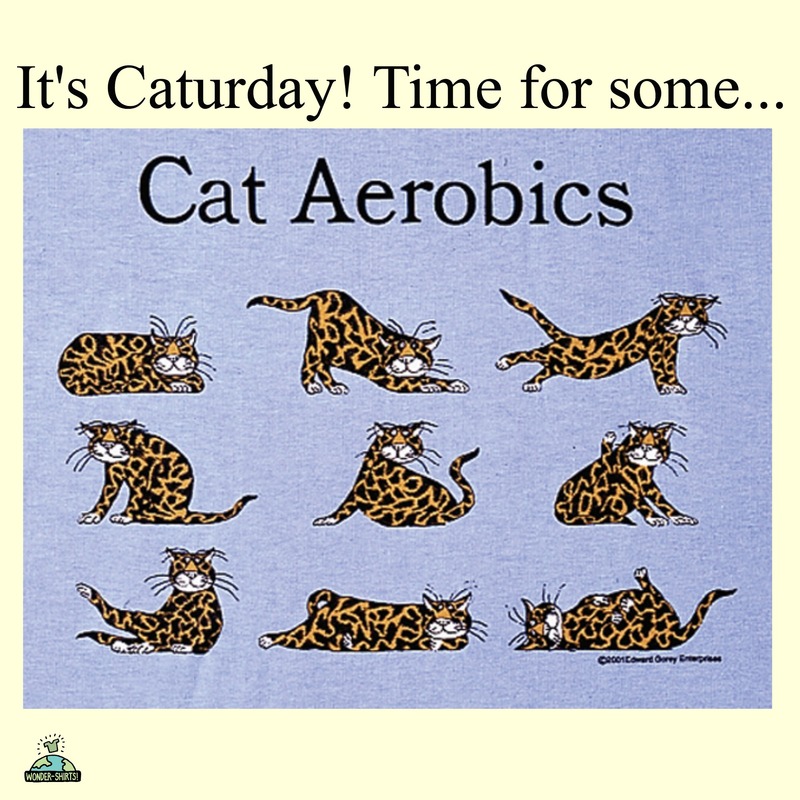 It gives the cats some soothing human contact, helping to keep them less stressed, healthier, and more likely to be adopted. When we read the story it made our hearts feel like they would burst. 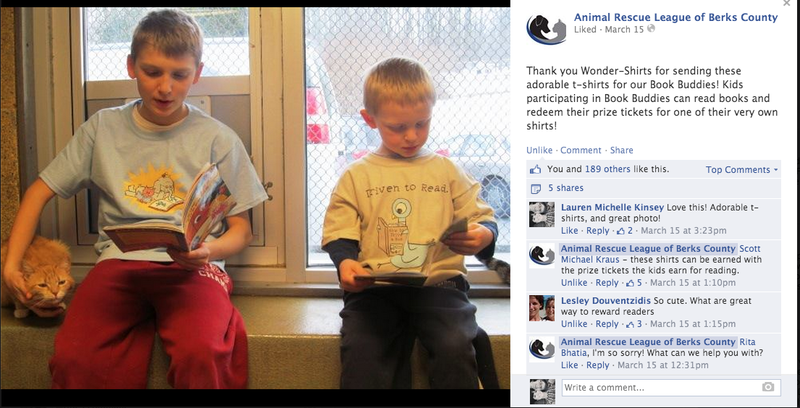 What is more adorable than encouraging kids to read and showing kindness to animals in need of homes? 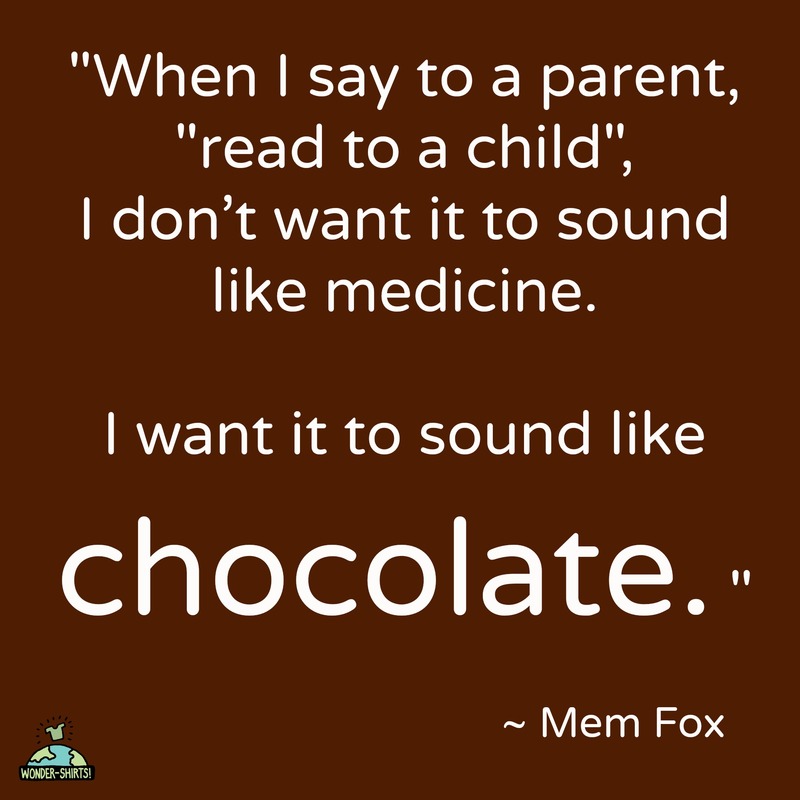 We think it’s a brilliant idea, and we want to encourage it. So we’re sending over ten t-shirts to give as prizes to the kids. The shelter has been rewarding the kids with small prizes like stickers and pencils. We want to see the looks on the kids faces when they win our t-shirts. 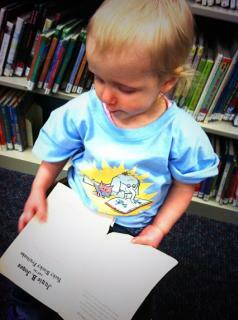 We’re also very very excited to see the photos of the kids wearing our t-shirts while reading to cats! Stay tuned! 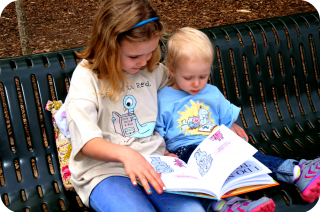 We create stylish t-shirts and totes to inspire early readers and delight lifelong learners. 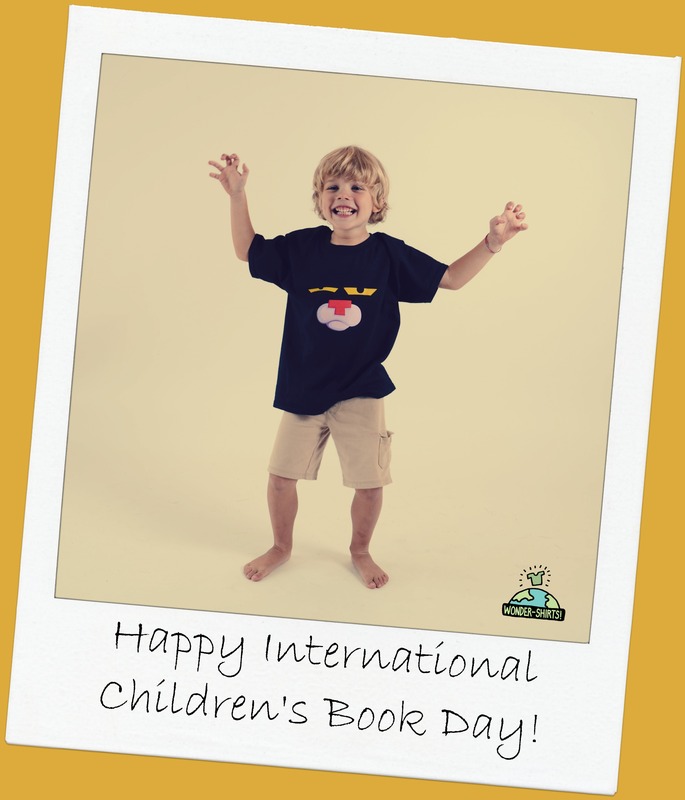 Our company’s core purpose is to encourage the love of books and support those who share the gift of literacy. 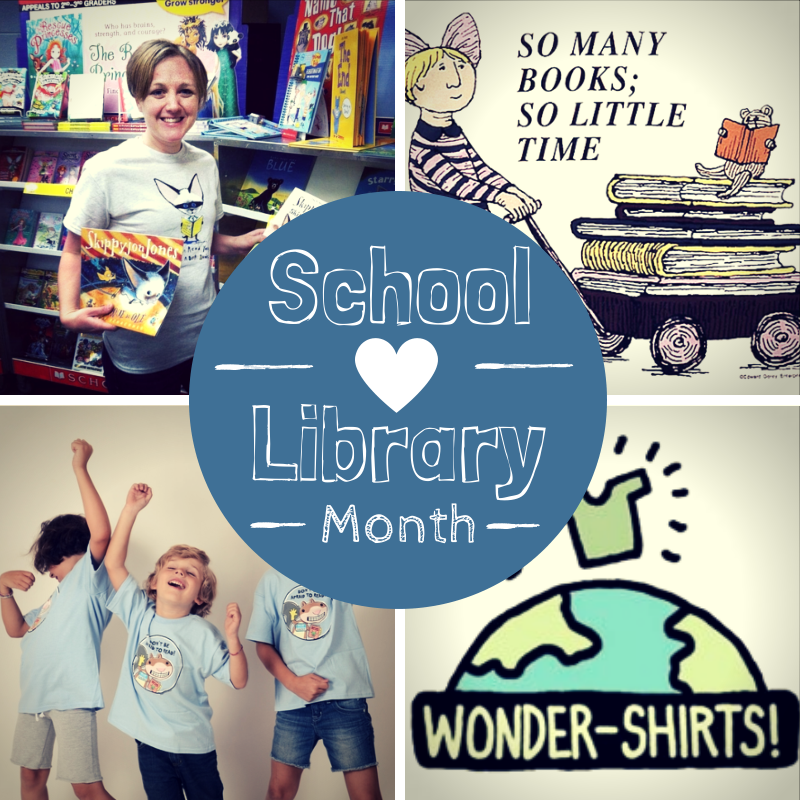 We love Wonder Moms, Wonder Dads, Wonder Librarians, Wonder Teachers, and Wonder Kids. 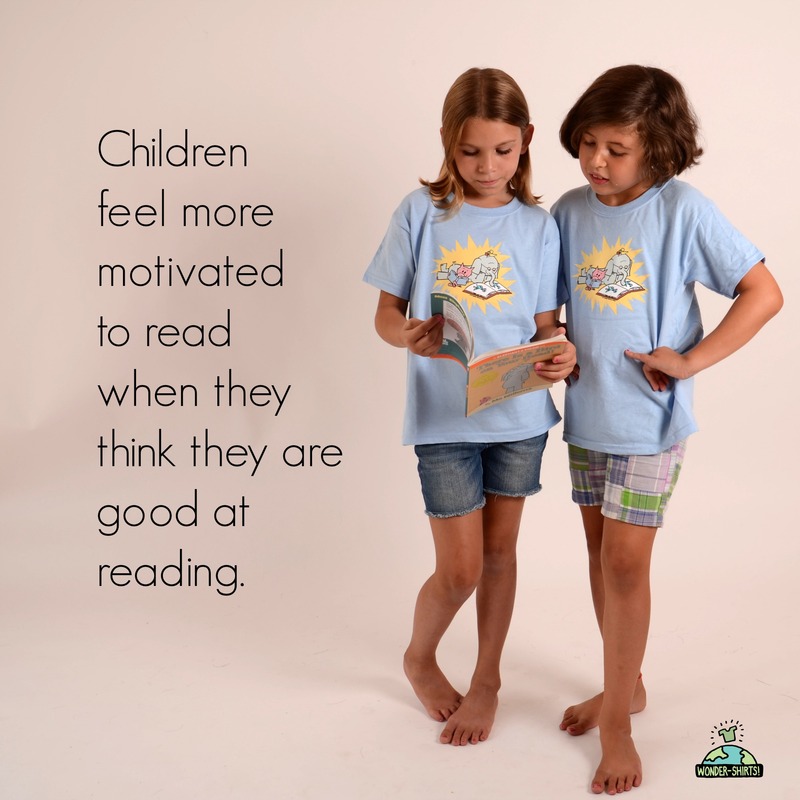 In our book, anyone who encourages reading (or puts effort into learning to read) deserves the word “Wonder” as part of their title. 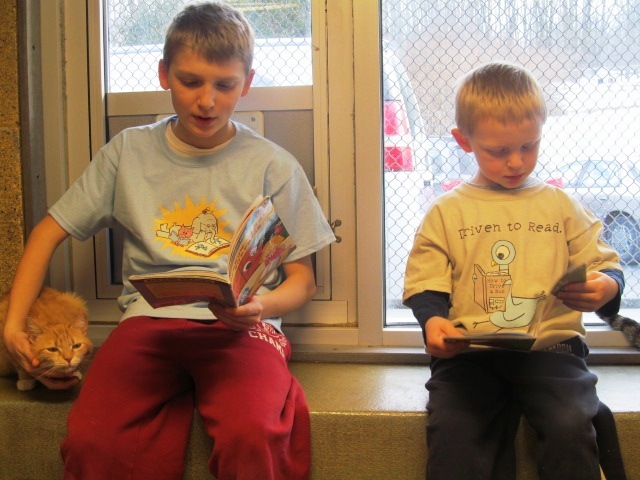 We are so impressed with the Wonder Kids who volunteer at Berks County Animal Rescue League, and with the Wonder Mom, Christi Rodriguez, who had the idea to start the “Book Buddies’ program. We hope that by giving these t-shirts to the program, we are helping to make this effort even more successful. 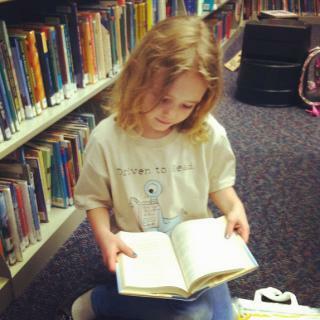 We hope that by being one of the organizations to reach out, we can encourage the idea of a “Book Buddies” program to spread to even more locations.